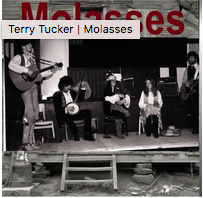 … in the form of the release of the album MOLASSES in which an informal session of a band I played and sang in was recorded live and is now available, over forty years later. ‘The Dude from the East’ is just visible on the right of the cover photo. Oh, and, Happy New Year, one and all. 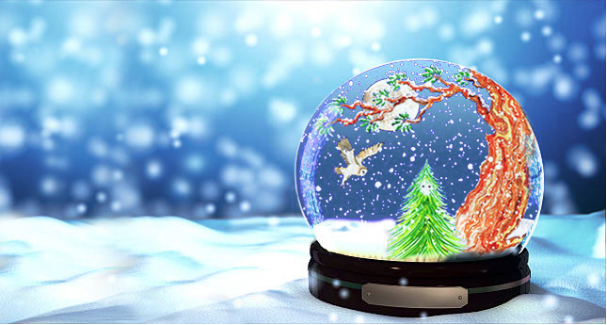 It was in mind to send something similar this year, but novelty also has its attractions. I considered an exclamation mark, but as I have already intimated, I believe these should be reserved for those rare occasions when they are proper. While I have had many requests for another dose of the Space sent you in 2015 – though some wrote back to complain that they didn’t have the Time to enjoy it – space is currently at a premium and, despite extensive searching, I couldn’t find any anywhere. Rather like losing the trees in the wood. So this year my gift to you all is Silence. You may need to listen carefully behind the everyday sounds in the world around you to hear it. Indeed, I would recommend, for full appreciation, that you bear in mind that it is better not to bear anything in mind while you listen. Furthermore, by the way, as a bonus for these troubled times, this message also includes five pairs of brackets. Feel free to extract them and use them a piacere. With love and best wishes for everything that this time of year means to you, and in the profound hope that, in some ways at least, 2019 might prove less interesting. … I can bring you up to date with some news. 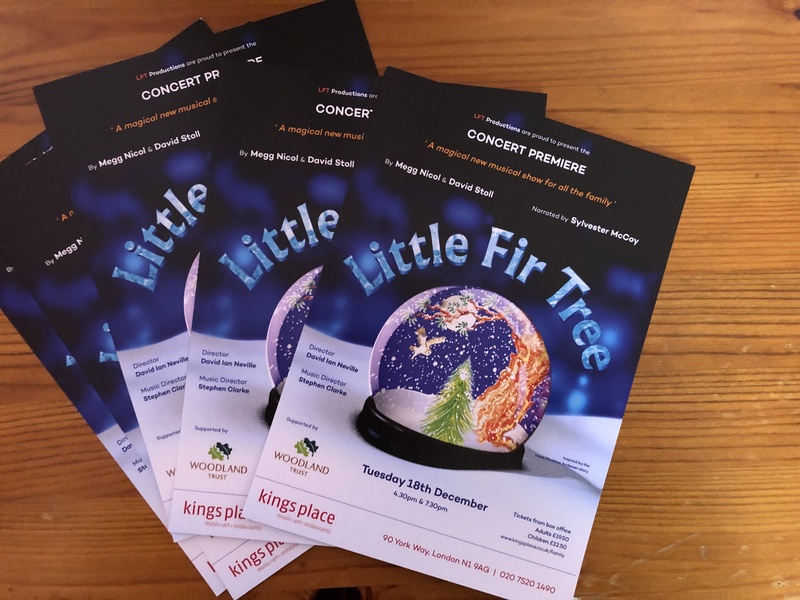 I have been very busy orchestrating for the concert premiere of LITTLE FIR TREE. The performances will be next month, on 18 December, and we have a fantastic cast in place: our Narrator is Sylvester McCoy. Have a look at the flyer above, and visit the Kings Place website for more information. It seems a pity to jumble mention of the two things together, but – while I was working on the show – the new Chronometer album, SPELEOLOGY, was launched. 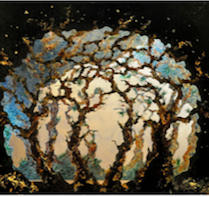 This inhabits a very different world from the Forest where Little Tree lives. I don’t want to present two different images in this blog, but you may see the new cover on the CHRONOMETER page. And my intention is to get back to being a bit more regular with these Blogs in the new year. … has been beautifully recorded by Emma Stevens. I was very fortunate to be able to share the production credits on this recording with Pete Woodroffe. The design graphic is taken from the concert version of the show and is the work of Claire Lyth. … for such a long silence, I’d like to tell you that the much delayed cover for the new CHRONOMETER album is now in the final stages of preparation. I can’t display a graphic as yet, but should like to remind you of the background to this particular venture. Please visit the CHRONOMETER page and listen to the selected tracks, or even go through the material album by album – you may hear sets of excerpts for each one. We’re very nearly there with Number Six: 1 STEAMPUNK ETC., 2 LONGITUDE, 3 WORMWOOD, 4 BESTIARY, 5 CALIBAN’S ISLAND and now … 6, ? … which was co-written with Megg Nicol (who was also my co-writer on THE DRUMMER BOY OF WATERLOO) is the inspiration for an exciting environmental Project which will be happening in Islington this coming Autumn. This Project, devised and run by LFT Productions, and supported by the Woodland Trust, the Garden Classroom, Trees for Cities and Islington Council, involves classes and workshops on tree planting in the inner city, cleansing the air particularly around primary schools. At its heart is the new musical, LITTLE FIR TREE, about which more soon. … is on the way. Mastering was completed at Riverrun Studios yesterday and work has begun on the cover. (CHRONOMETER covers are always well worth the wait.) Next is the process of delivery and then the release. It will be soon. And there is other interesting news in the offing, which is likely to be announced this week – maybe even tomorrow. .. ages since I’ve written here. And, though I am busy with a few projects, it’s one of those times when there isn’t really any new news to give you. However, I am very grateful to Peter James at Mountview Academy and his students for useful feedback on a rehearsed reading yesterday of my new show – co-written with Phil Bowen – YOU, ME AND A PIANO. This was ably put together by Charlotte Everest and played by Katie Sherrard and Daniel Edlund. Phil and I have some re-writing to do, but feel that this one certainly has legs. Meanwhile, work is continuing on some tracks which will make the new CHRONOMETER collection in the spring. And two other major projects are getting close to fruition (one theatre piece and one concert work) and therefore close to mention in these blogs. So far I’ve managed to include a graphic in almost every news report, and I hate not to keep up that tradition. But please forgive me: this time, nothing relevant comes to mind. … but I think that I shall be writing a new concert work (for chamber forces) over the next few months. I am currently exploring ideas and references about a subject which has interested me for a long while. There is already some music for this, but I shall need to consider other commitments in my diary before I can be certain of when I shall settle down to such a large-scale undertaking. 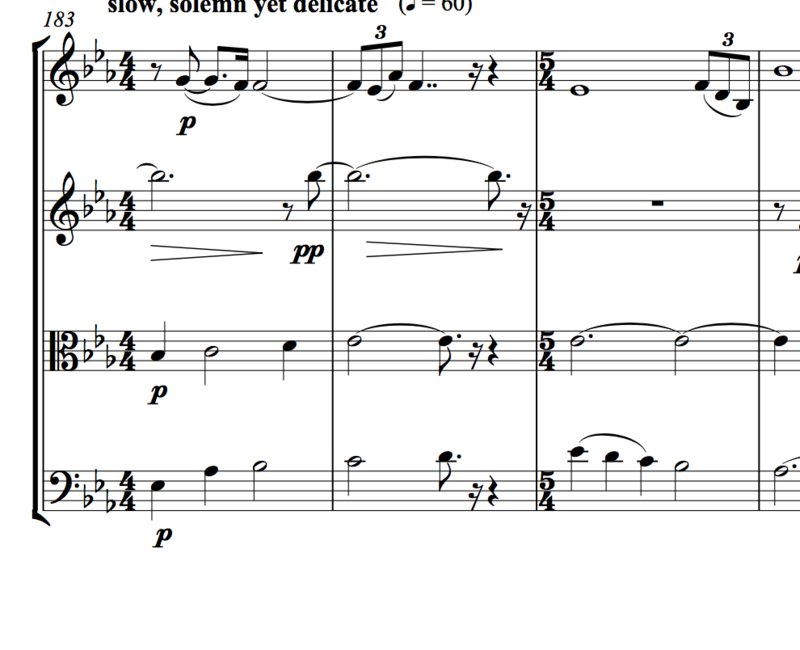 This Post’s graphic is an early sketch from my 4th String Quartet and one of the ways it appears in the score. I still expect to be writing some more production music this year, and perhaps even bringing out a new CHRONOMETER set. Then there is the promotion of a couple of my musicals which are beginning to arouse some interest. So an interesting time.